No, some little kid didn’t make this. I did. I made it on a really day at work right before Thanksgiving. I traced my hand, scanned it into MS Paint, and colored it from there. As for the “Gooble”s…..I, uh, need to proofread things before I finish them. 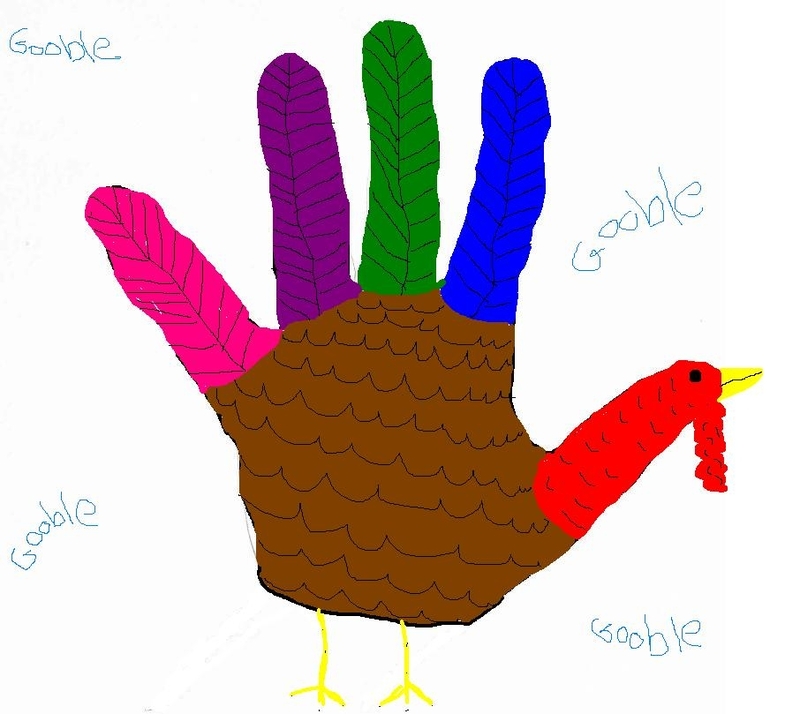 Perhaps Gooble is a search engine for turkeys? This, uh, piece is also prime evidence that I need to stick to fractals and photography.